If not for the Grace of Allah (Azza wa Jal), Rahmah of Allah (Azza wa Jal) I would cease to exist. We pray that Allah (Azza wa Jal) forgives our shortcomings and wrongdoings and let us enter into the Oceans of Rahmah (mercy). The sun is the Noor and the Noor is eternal. That noor (light) is so powerful and so blessed and such a wonderful example in our life that how much we are in need of that light. It cannot be the shabbih (similar) or shakl of Allah (Azza wa Jal) because there is nothing like Allah (Azza wa Jal). So you can’t say, “O that Noor represents Allah (Azza wa Jal).” No. Astagfirullah. Allah (Azza wa Jal) says: whatever you think, you are in correct. Allah (Azza wa Jal) and Prophet (sallallahu alayhi wa sallam) teaching that don’t make tafakkur on Allah (Azza wa Jal). لا تَتَفَكَّرُوا فِي ذَاتِ اللهِ. Don’t contemplate the whereabouts, the why, anything about Allah (Azza wa Jal), it is not for us. Our reality is to understand Creation. This is the way of marifa’ah. The stars are the ulul amr, the Moon is the highest station of perfection. It is devoid of ego, devoid of the self, devoid of any characteristics and there is no dunya on the Moon, nothing grows because it is constantly annihilating, constantly annihilating. So Maqaam al-Fardani is then represented by the big Awliyaullah. As soon as you begin to Google what is a star? What is the Sun? We see that these are the sources of light, these are the eternal reality of Allah (Azza wa Jal)’s Creations. How much power? How much light, how much Noor, how many realities are upon them? Prophet (sallallahu alayhi wa sallam) was describing, “My Companions are like stars,” imagine then what Prophet (sallallahu alayhi wa sallam) is? If the Companions are stars then Prophet (sallallahu alayhi wa sallam) is the Sultan of all the stars. That is why throughout the (Holy Qu’ran), najm, throughout the daroods, all the salawaat there is constant praising in reference to the Prophet (sallallahu alayhi wa sallam)’s light. We have said many times before, the focus of the Seerah on the external is not as high, and not as in-depth as going into the reality of Prophet (sallallahu alayhi wa sallam), and towards understanding which is the Noor. That Noor (light) how much we need it, how much we breathe from it, how much we can eat from it (using photosynthesis), how much we can see from its (light)? It means when we focus on how the Sun, and this is just the sun of this universe, how that Sun shines 360 degrees but the entire Space is black. How is that possible? Layli wan-nahar, (the darkness and the daytime). Allah (Azza wa Jal) is giving us an understanding that from that Sun, that is constantly shining, yet it is dark everywhere. That is the layl (night), it is a miracle from the Sun; it is shining but you haven’t the eyes to see it. Only by the power that that light is coming onto the atmosphere of this Earth, the angels bring that light into a spectrum in which our eyes were created to see only that spectrum. Because these eyes can’t see beyond the Earth what light that Sun is producing, right? It is dark, all of this space is dark around the Sun. [Shaykh holds up diagram of Shams al-`Arifeen]. Everything is dark (in Space) but it is shining 360 degrees, means it is producing light but we don’t have eyes to see it. What a perfected Creation of Allah (Azza wa Jal) that He gave us eyeballs that can only see a very specific spectrum from the electromagnetic frequency. We don’t see infrared, the red signal that the television is producing. We don’t see the gamma rays. We see a very specific ray on this Creation and Allah brings that ray upon this Earth. Wa ma arsalnaka rahmatan lil `aalameen. This light is coming to you only as a Rahma (mercy) from Allah (Azza wa Jal). Means the life on this planet is Allah’s Rahma. That the light and the warmth and the exact proximity of the Sun to the Earth, that is our Rahma. 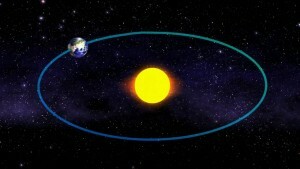 Allah (Azza wa Jal) says: I didn’t give that Rahma to everywhere because there are planets that are so close to the Sun that they are continuously burning. They are just under the fire but Allah (Azza wa Jal) describes: our life on this planet, its existence is at such a perfected distance. Qulna yaa naru koonee bardan wa salaaman that Allah (Azza wa Jal) made the distance and its proximity to be cool and peaceful. Allah (Azza wa Jal) describes: these are loaded ships of reality, their entire existence is just traversing the oceans of marifa’ah. Prophet (sallallahu alayhi wa sallam) is that ocean of marifa’ah. And that Prophet (sallallahu alayhi wa sallam) is under the continuous nazar of Allah (Azza wa Jal) where Allah (Azza wa Jal) is praising and praying upon that reality of Prophet (sallallahu alayhi wa sallam). What we want to catch is that understanding. It means the Awliyaullah are moving, they move from the Baab of Nine, because nine is the sultan of all numbers, the sultan of all power. They move from the first lunar month into Surat at-Tawbah. They are moving in the ways of marifa’ah into that ocean and alhamdulillah we are now in the 11th month, Dhul Qi’dah. For us the understanding for the month of Dhul Qi’dah, ismullah as-Saboor the 99th name of Allah (aj) because 9 x 11 brings the 99 and the secrets of 99. 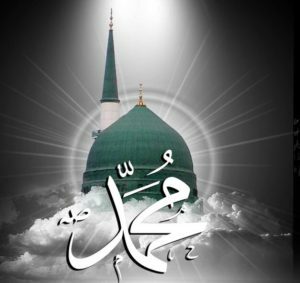 Ismur Rasul (Prophet Muhammad (saws)`s name) is al-Mustafa, “The fragrant, the beautiful, the perfumed,” means all the sweetness from Sayyidina Mustafa (sallallahu alayhi wa sallam). Siffat as-Saboor that Allah (Azza wa Jal) wants to dress the believers with Siffat as-Saboor. It is the all encompassing Siffat (attribute) of Allah (Azza wa Jal) containing all the 99 names. So when they want to dress us with sabr, they want to dress us with the reality of all asma ul-husna (the beautiful names of Allah) but it requires the key of Siffat as-Saboor. Awliyaullah come into our lives and say, “Our way is based on testing. If you want to be dressed by sabr, then be patient. Be patient through Allah (Azza wa Jal)’s testing,”. And they begin to teach how to achieve a high level of patience, to expect nothing. Expect nothing and be happy with everything in life. 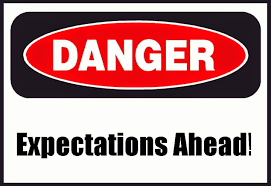 As soon as you have an expectation you are going to run into difficulty because your expectation and Allah’s Will may not be matching. Allah (Azza wa Jal) created us, Allah (Azza wa Jal) knows what He wants from me, what He has destined for me, what He wrote for me, so why would I have any expectations? These expectations are constantly going to be my source of difficulty because I don’t know what Allah wrote. I don’t know what Allah (Azza wa Jal) wants for me. So then they teach this is the difficulty of sabr. Why do we have issues with sabr? because we constantly want something, we expected something. We thought it was going to be a different way and hence it makes a difficulty in our life. So they are teaching “If you want to achieve a reality in Siffat as-saboor constantly repeat, “Yaa Rabbi I don’t want anything. I give up. I am not expecting anything. I am not expecting anything. If you want to surprise me, alhamdulillah.” But as soon as I have an expectation you find that your will and Allah’s Will are moving (away). Many people become upset and they begin to voice what their condition is, what their desire is, what they want. They constantly saying, “It didn’t open for me, I kept praying, I kept praying, I kept praying and it didn’t happen.” I say to them, “But you are not in battle with Allah’s Will.” You are not trying to impose your will on Allah (Azza wa Jal); it is not about Allah (Azza wa Jal) submitting to us, astagfirullah (God forbid). It is about me submitting to Allah (Azza wa Jal). So then all these questions that people have and continuously saying, “You give me the du`a for this to happen, I want some money, I need this, I need that, I need all these things,” but these are not important. What I need is for Allah (Azza wa Jal) to be satisfied with me. Ilahi anta maqsoodi wa ridaka matlobi. I am begging for Your Forgiveness, I am seeking Your Rida. What is Your Rida, I am not expecting anything. You don’t want to feed me tomorrow, okay yaa Rabbi I am not going to eat, but it is going to be painful, have pity upon me. Allah (aj) Owes you Nothing! There is no difference between how we understand our children and how Allah (Azza wa Jal) understands us. That in your life if you are expecting something from Me, I owe you nothing, but you owe me everything for the eyesight I gave you, for the hearing. Means they are teaching us that in everything in our lives, that if you expect nothing, be happy with everything. Then sabr comes and Allah (Azza wa Jal) dresses us. If Allah dresses us with sabr means all the Names of Asma al-Husna, all the Names of Allah (Azza wa Jal) will be dressing upon thy servant and Allah’s Rida and satisfaction to bel be upon that ocean. That is why these are the oceans of marifa’ah. As soon as they enter into that 11th hijab where Zul Qi’dah is a very holy month, many seclusions are in the month of Rajab and in the month of Zul Qi’dah. Why? because Siffat as-Saboor is dressing that hijab eternally. It dressed the reality of Prophet (sallallahu alayhi wa sallam) and we are from the Noor Muhammad (sallallahu alayhi wa sallam). Trying to make our way back into our understanding of where we left. That is why Prophet (sallallahu alayhi wa sallam)’s name is Abu Yateem. We were just reciting that in the darood. Means in that way of marifa’ah they want to dress with Siffat as-Saboor. If they are patient on their hijrah because it took us eleven months to get here. How many tests, how many difficulties, how many insults, how many ups, how many downs? So then this 11th month, Allah (Azza wa Jal) wants to dress Siffat as-Sabr and then says: read Surat az-Zalzalah because these are all the keys of the months. The 99th surah of Holy Qur’an because ati ullah, ati ar-rasula wa ulul amri minkum. From ati ullah is which surah and verse of Holy Qur’an is Allah (Azza wa Jal) dressing upon the people of marifa’ah. 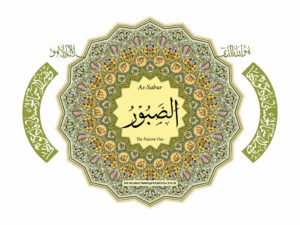 The 99th surah is Surat az-Zalzalah. “When the Earth shakes/quakes with her [final] mighty earthquake. (1) and [when] the Earth throws up her burdens (from within) (2). Surah Zalzalah (Earthquake) is describing Siffat as-Sabr where Allah (Azza wa Jal) is saying: only by shaking you I can bring out what I have hidden within you. It won’t come out. Your nature, our nature is to block. The body says, “No, no I am going to rule,” and the soul is the hidden treasure within. Then Allah (Azza wa Jal) is teaching: “No, no, if I don’t shake you, and crack you and smash everything, how the hidden reality within you is ever going to come out? Your true beauty won’t come out. Noor al-Mustafa, what we recited tonight. The name of Prophet (sallallahu alayhi wa sallam) is what Allah wants to come out. Not this rotten walking dead. Have you seen the walking dead series? They are just backbiting, this body is just a backbiter. So it is the walking dead, not this walking corpse, this is not what we want in Allah’s Presence. Allah (Azza wa Jal) says: let me crush this walking corpse I am going to bring out Noor al-Mustafa within your soul. Because if you have sabor, and you are in the way of marifa’ah, if you have been crushed and crushed then Allah (Azza wa Jal) describes: that which is hidden within you wants to come out. 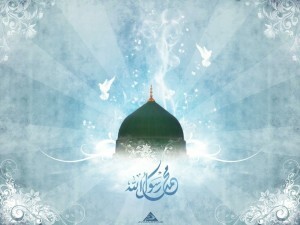 What is going to be coming out is the name of Prophet (sallallahu alayhi wa sallam)’s light. 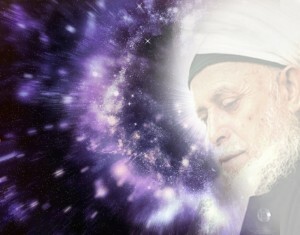 Sayyidina Mustafa (sallallahu alayhi wa sallam). Means that Noor al-Mustafa, that is dressed with all beauty, and all fragrance wants to come out and dress the believer and encompass the physicality. The hijab of the month subhana dhul mulki wal malakoot because this is the 11th month in the Hijrah. The 9th (month) was the Ramadan in which the believer is completely obliterated by fasting. Every bad characteristic will be completely obliterated if the servant enters into siyaam. They become like a dot of nothing. They enter into the ocean of submission into nothingness. 10 is one with a nuqt (dot) and you are nothing in the presence of that one. That is why everybody was very depressed in the 10th month (Shawwal). All the lights of Ramadan, with the great feeling of Ramadan, because yes, they want to take into the presence of the Sultan, to be nothing in the presence of the Sultan. Then they open the 11th month. The reality of the 11th month. subhana dhul mulki wal malakoot. Subhaana dhul mulki wal malakoot. From the oceans of Malakoot (Heavens) they want to dress that servant so that your mulk (Earthly existence) will be a reflection of your Malakoot (Heavenly existence). That in your dunya existence, if you are dressed from sabr, and dressed from Noor al-Mustafa (sallallahu alayhi wa sallam), then you should be occupying the light of your Malakoot, the reality of your Malakoot, where Allah (Azza wa Jal) says: everything is in that light of Malakoot. Kulli shayy, it is the authority for everything! Only now through physics people understood that. If not for the atomic reality, this phone is non-existent. The atomic reality, the atoms and the molecules is Malakoot, is that which you don’t see but it is holding it, and containing it, and making it to manifest. That which you don’t see, makes this to manifest. How is that even possible? That is Malakoot. Allah (Azza wa Jal) says: kulli shayy (everything), the Malakoot owns everything; by virtue of the Malakoot your mulk is in existence! If I (Allah) cut your power in the Heavens, everything ceases to exist in this mulk. This mulk is but an illusion, that which is real is the Malakoot. 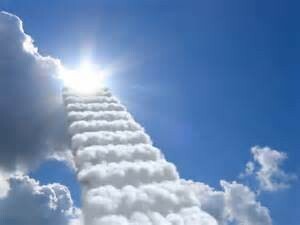 Our journey is towards the Lord of the Heavens, the Lord of all Power means the Oceans of Power and the Oceans of Reality. That means to be dressed by Siffat as-Saboor from the lights of Noor al-Mustafa (sallallahu alayhi wa sallam), to dress our souls, and that Allah (Azza wa Jal) dresses us from the lights of Holy Qur’an. Subhaana rabbika rabbil amma yasifoon wa salaamun alal mursaleen walhamdulillahi rabbil aalameen. Bi hurmatil Muhammad al-Mustafa wa bi sirri surat al-Fatiha.